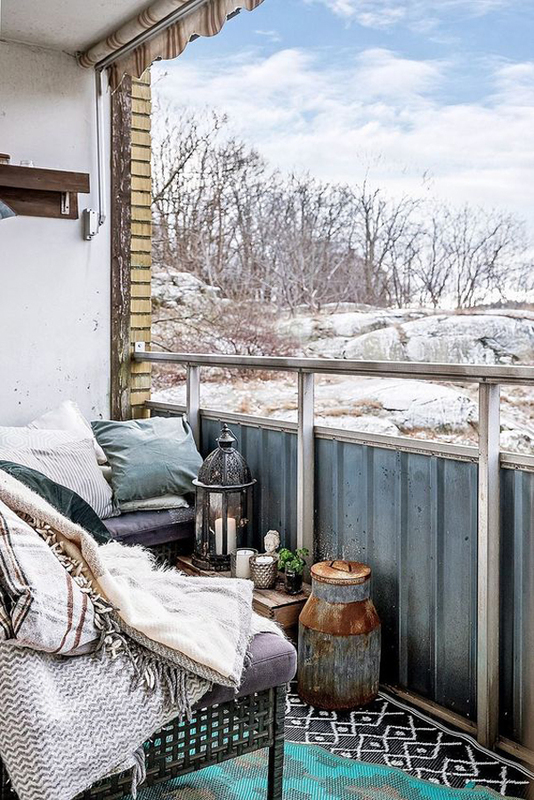 The air was getting cold outside, but it was outside the house can always be fun if you are clever decorating your outdoor space. 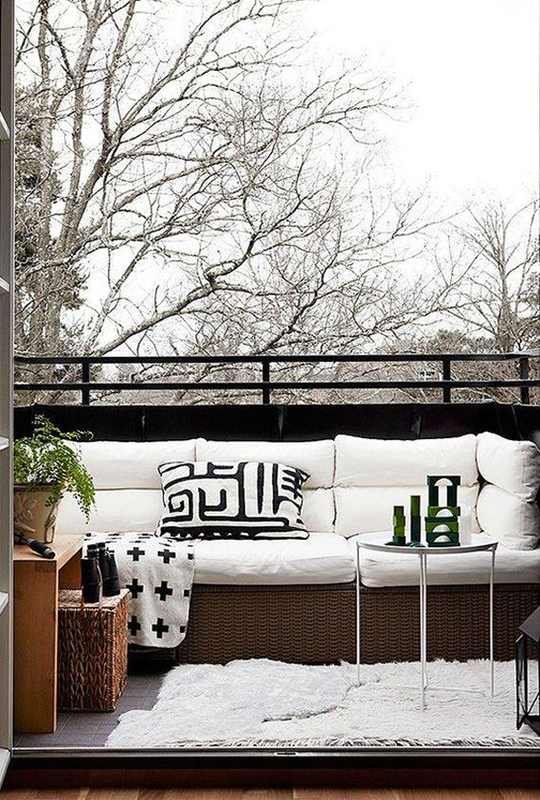 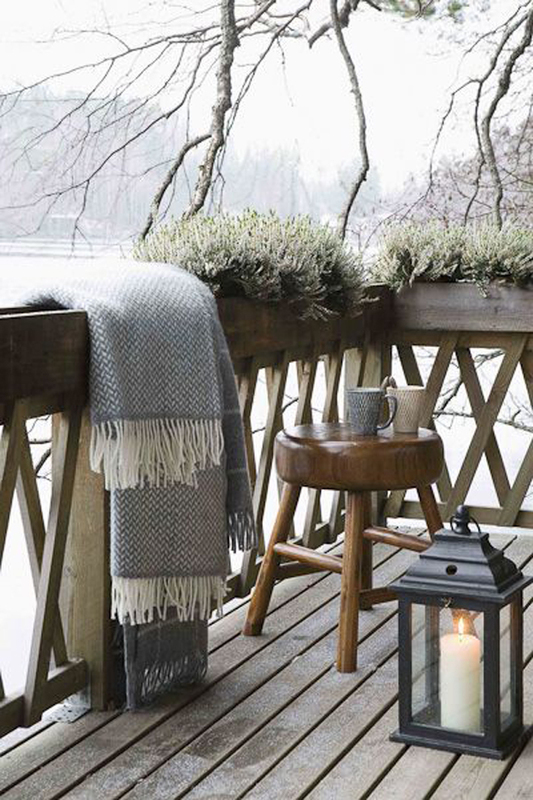 Even in winter when the weather has started to become unfriendly, the main idea is to decorate your outdoor space with a number of items that will keep you comfortable and give you plenty of warmth. 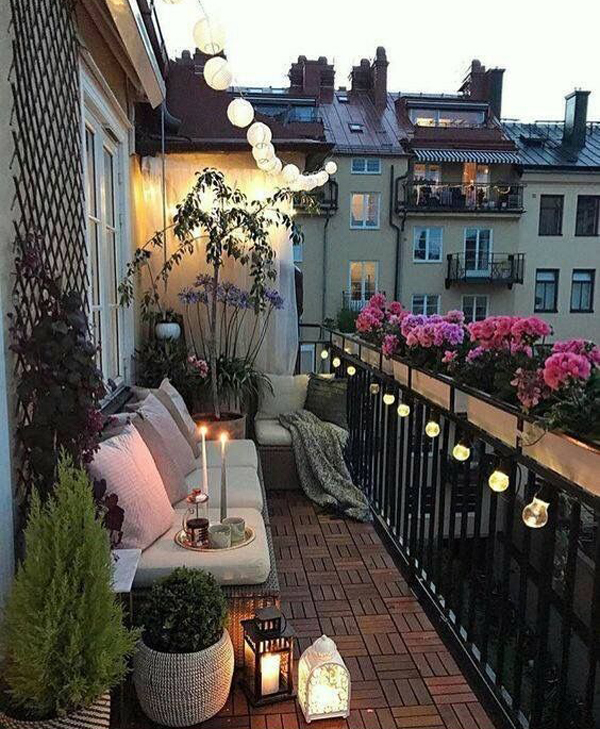 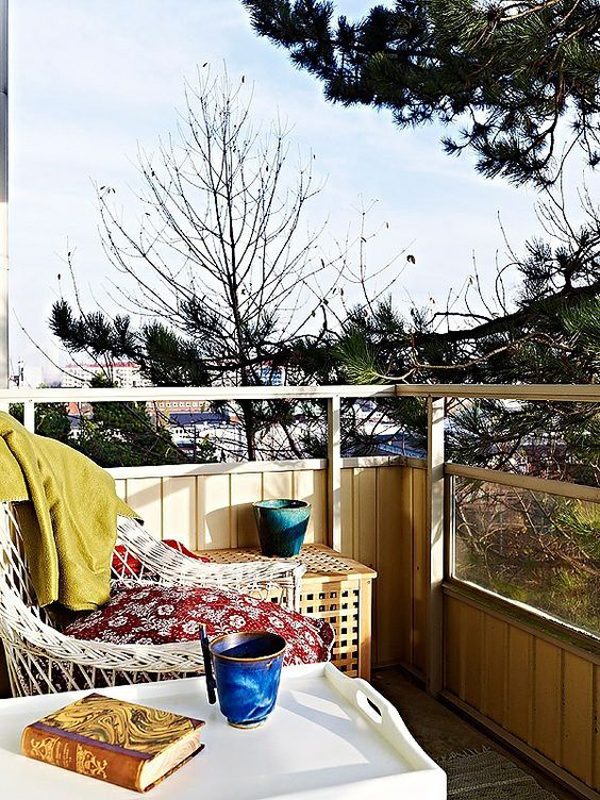 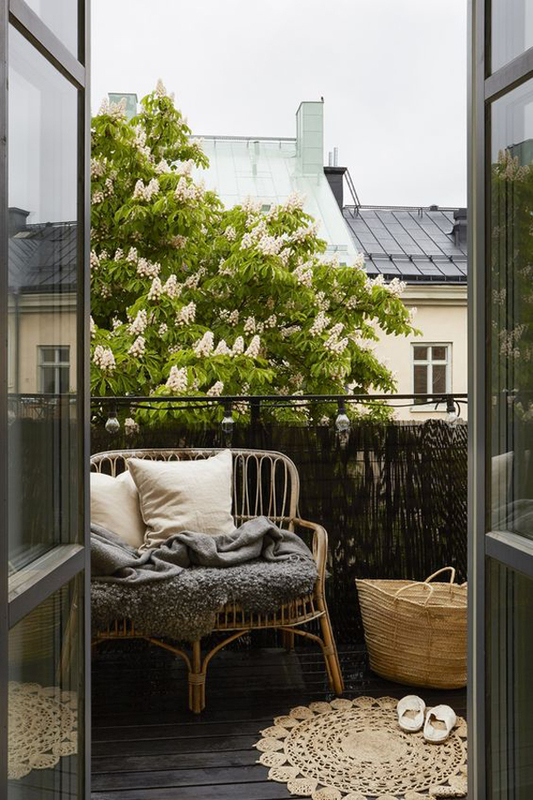 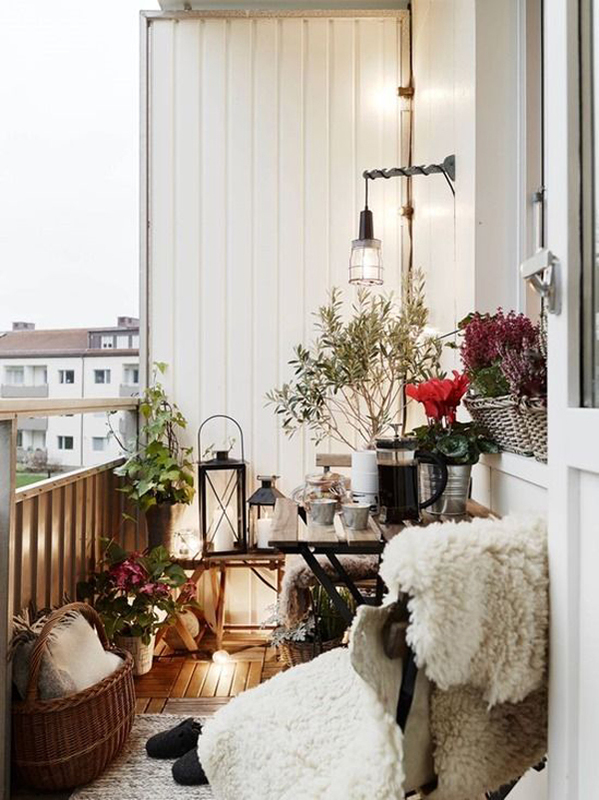 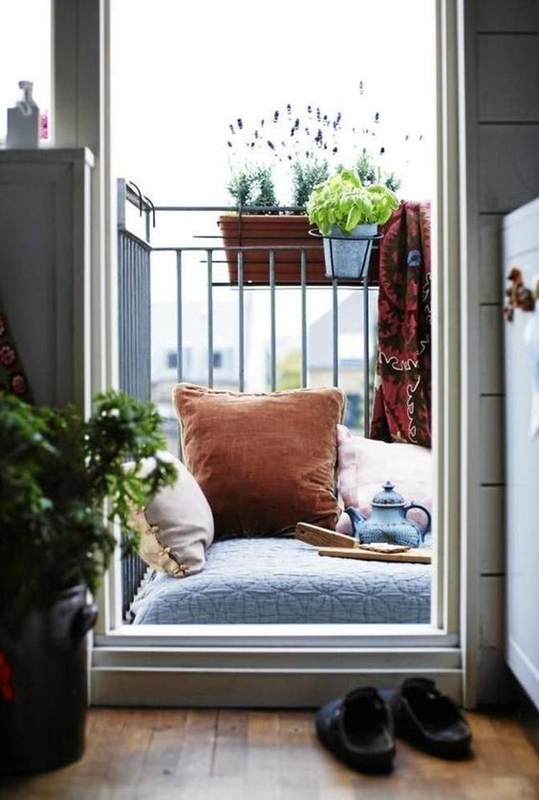 The balcony is one of my favorite areas when I want to spend time outside, and balconies usually still need some of the right furniture and decorations to get around the small space. 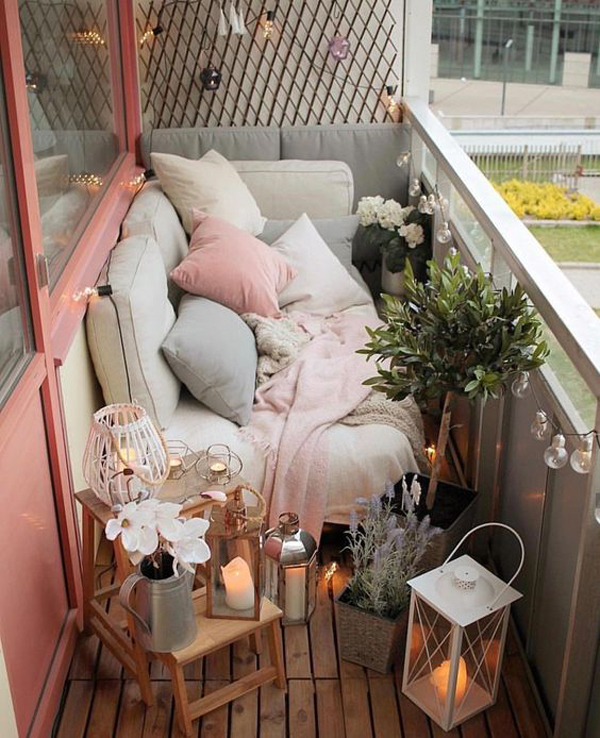 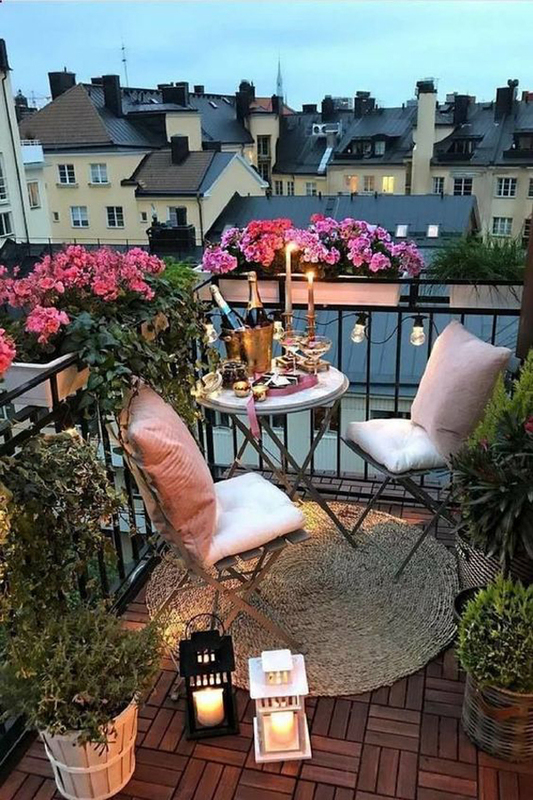 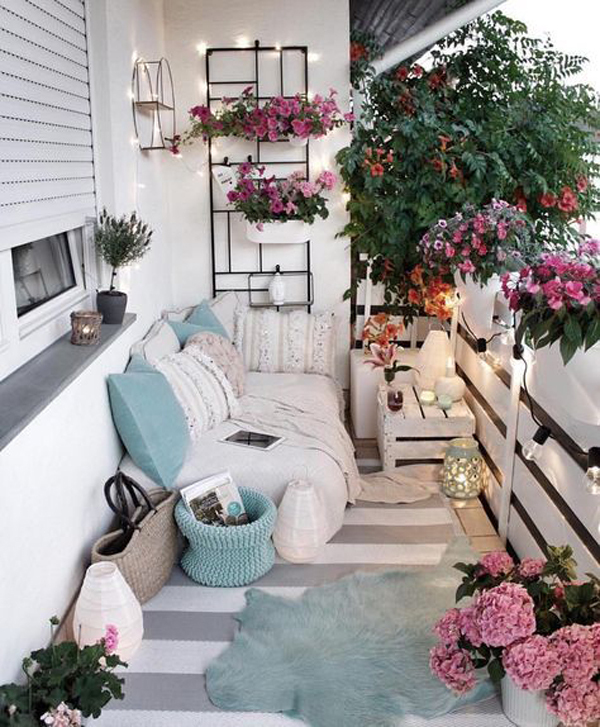 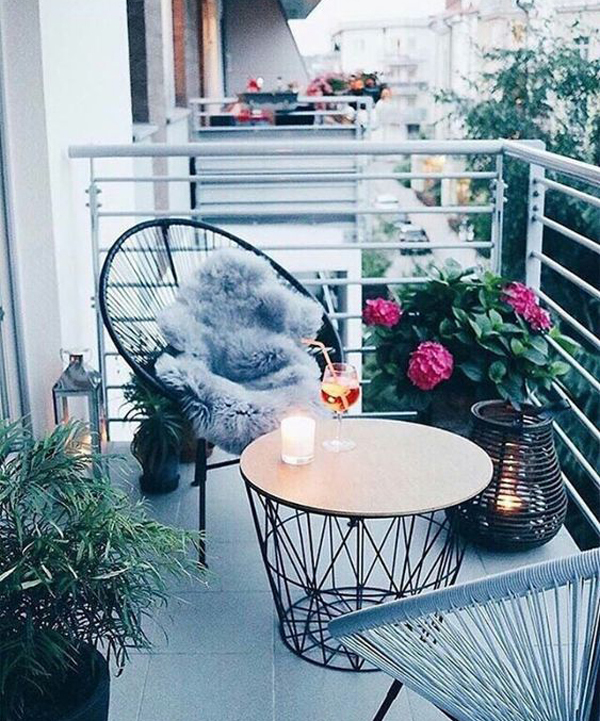 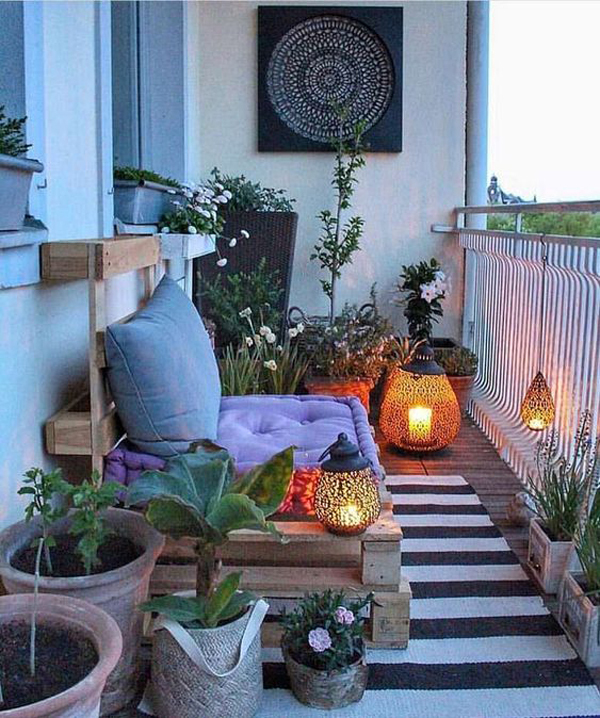 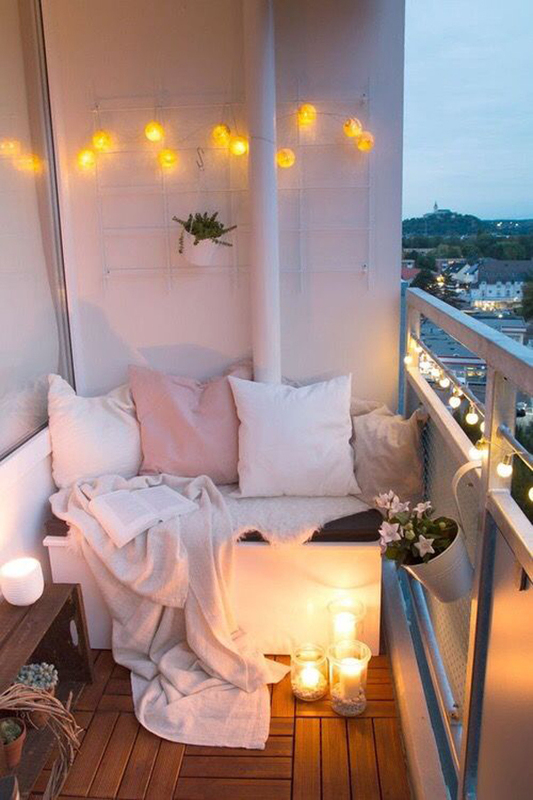 Try to start thinking about what you are going to put up there, consider also the size of your balcony and decorate it with furniture sets that you think are most comfortable, can be chairs or double benches, side tables, your favorite sofa or even your collection of plant pots. 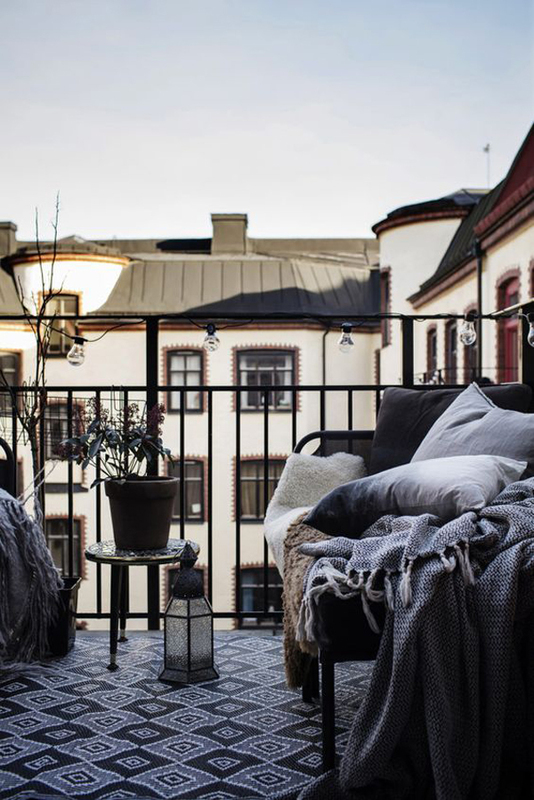 To make it even warmer, cover your seat with a pillow and do not forget to throw a blanket that will make you feel at home to curl up. 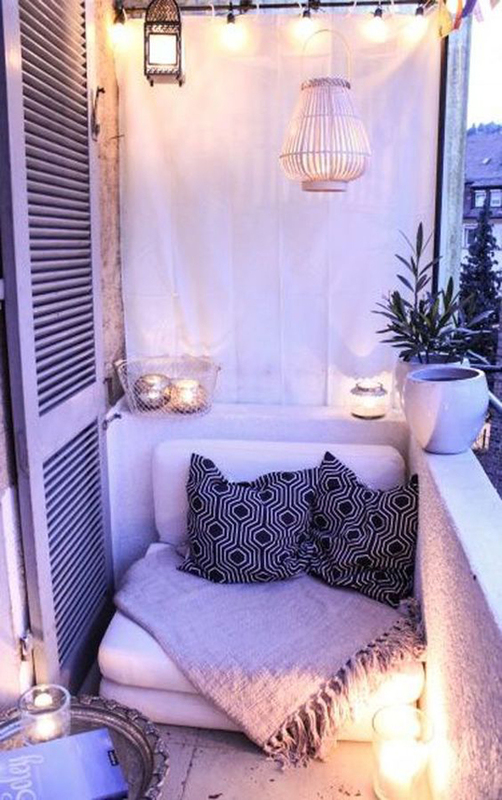 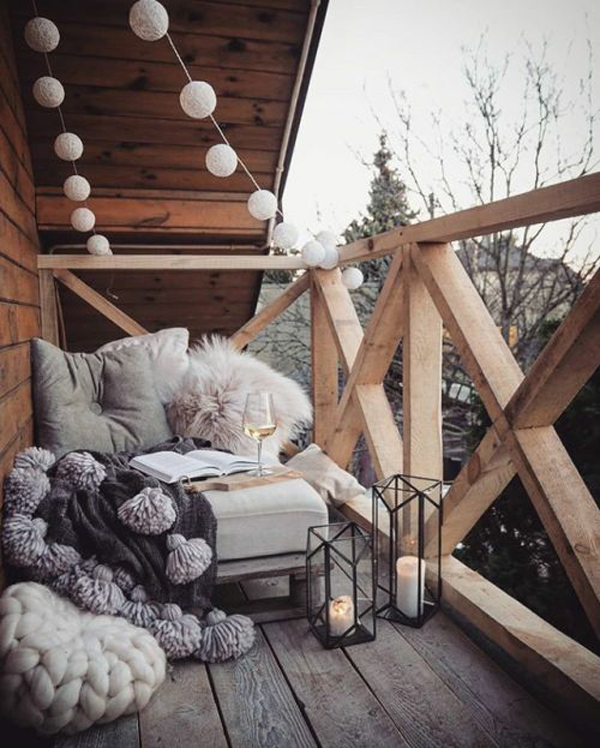 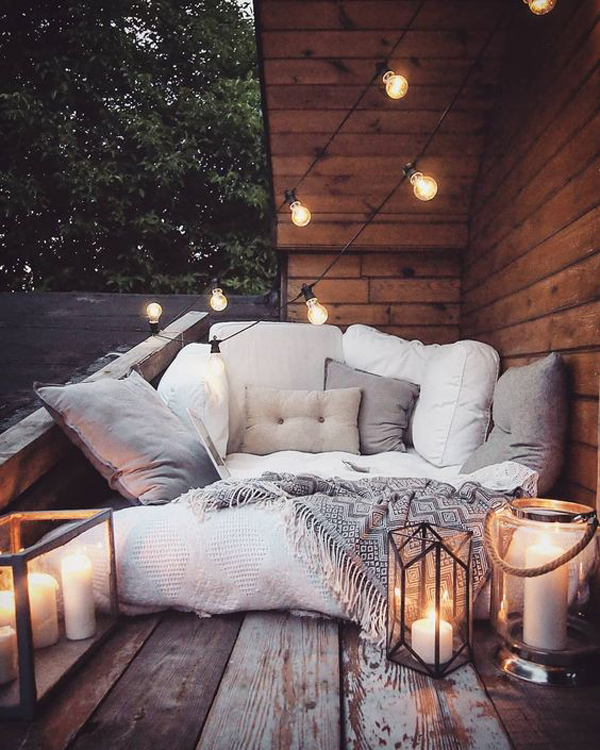 Encourage your couple or family outdoors by creating a romantic winter balcony, and the best way to do this is to give more lighting like a candle lamp or lantern that will warm the night perfectly. 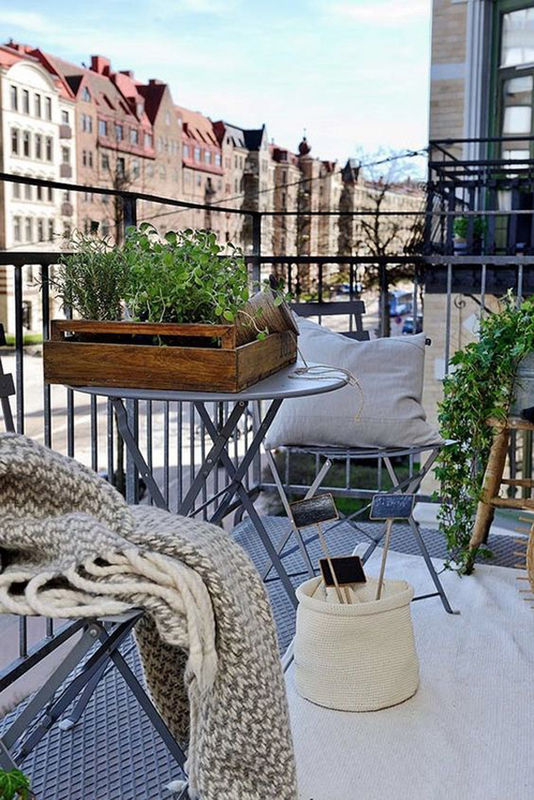 If you are lucky and still have a little room on the balcony, consider a portable fireplace is a great idea. 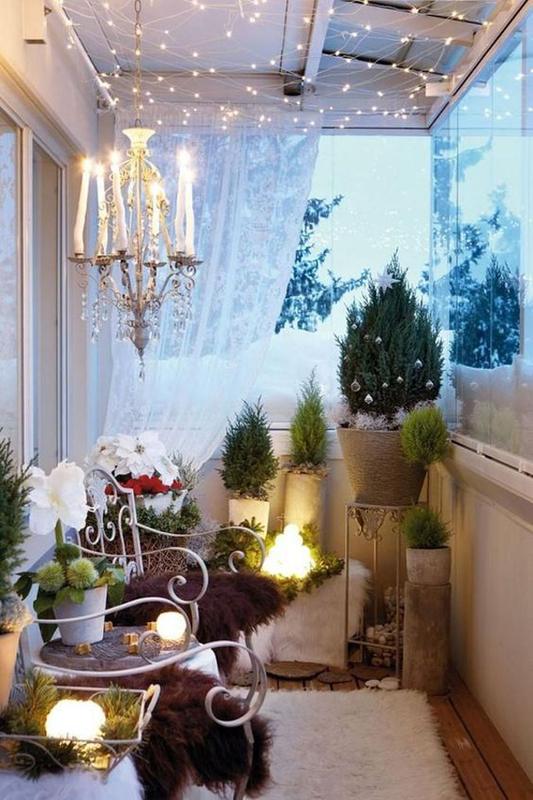 And because Christmas will soon be, decorating your balcony with a Christmas theme will be very appropriate to do. 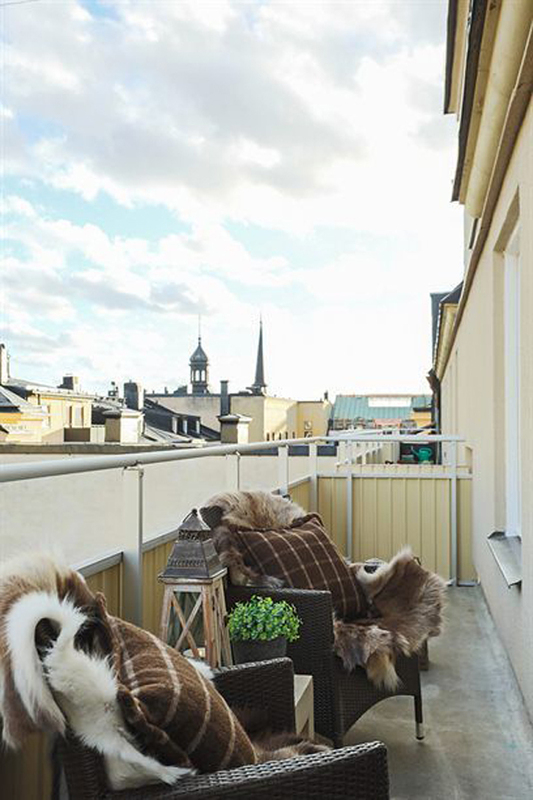 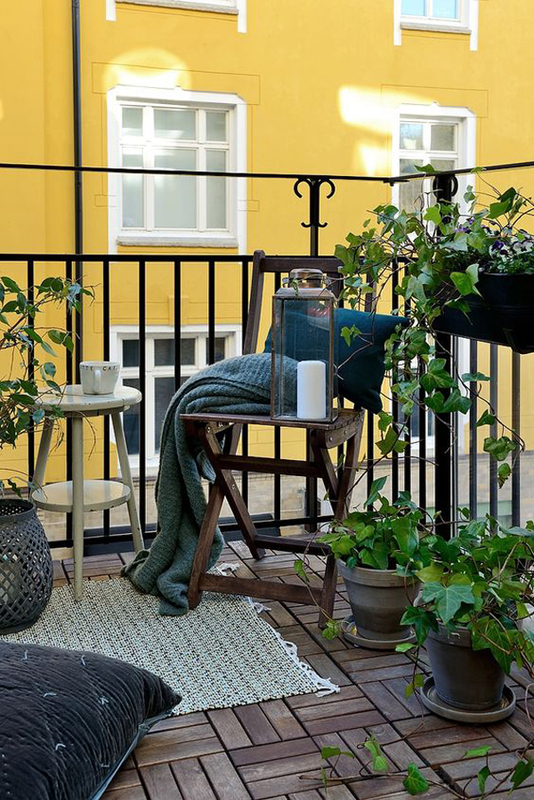 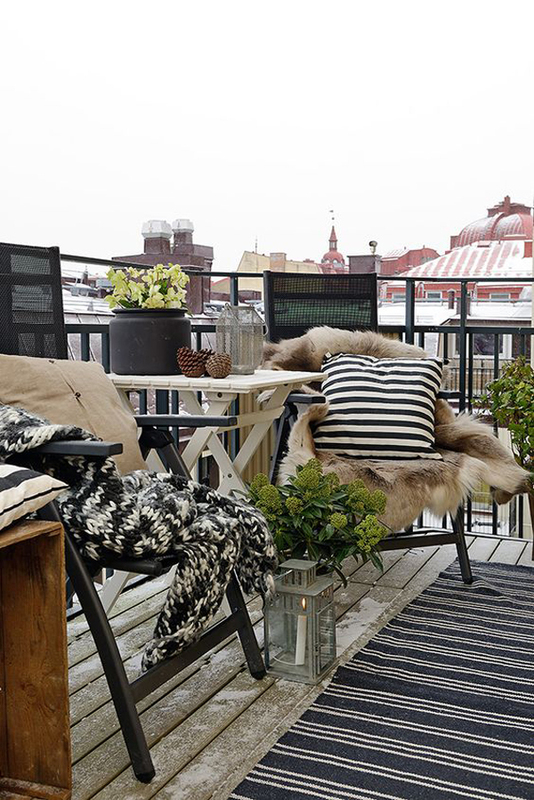 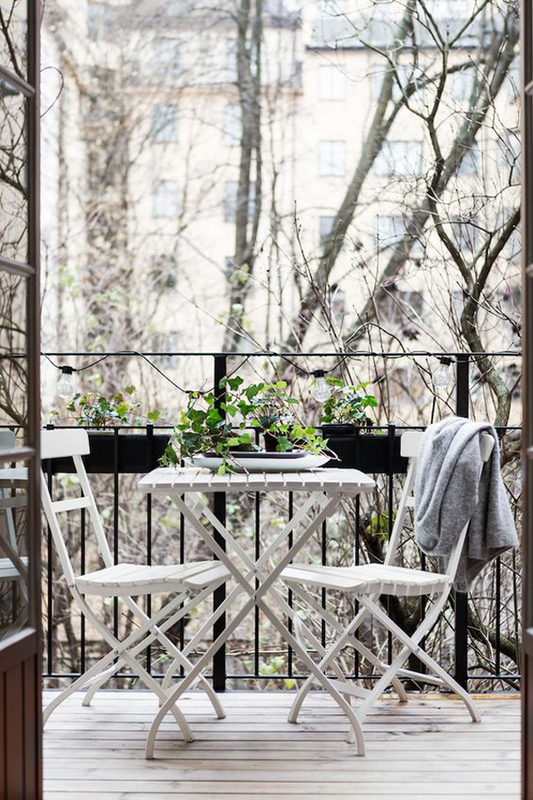 Confused as to what winter balcony will become a trend at the end of this year? 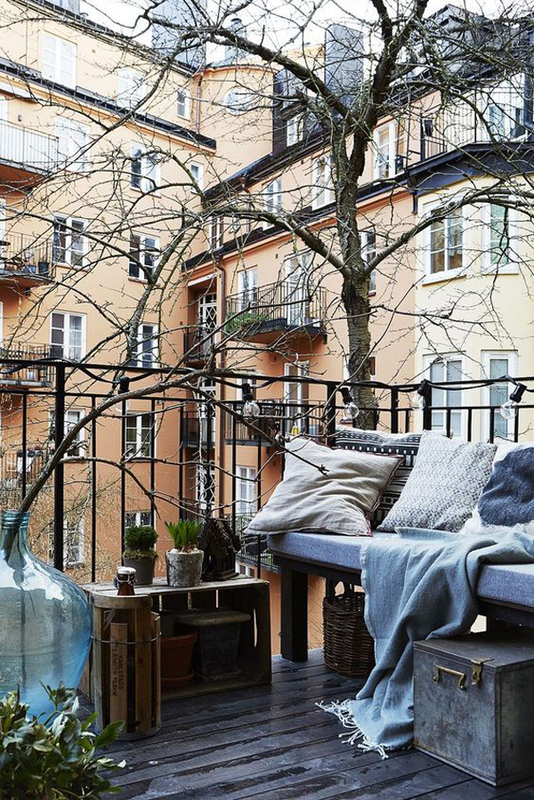 Scroll down and find more of your favorite balcony.